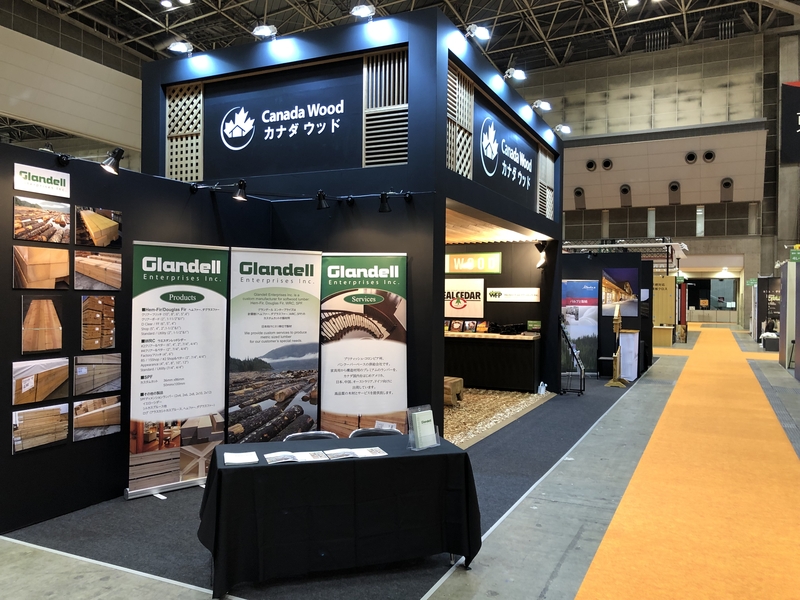 The Japan Home and Building Show is the most important show for BC Wood members, as well as other overseas firms doing business with the Japanese construction industry. This year was no exception, with large pavilions from various European and Asian countries. Canada was well represented as always, with the BC Wood organized 12 booth Canada Wood Pavilion promoting a wide cross-section of our industry. This year COFI also joined us at the show with full-scale demonstration home showcasing Canadian building technology including mid-ply wall systems. The show was busy for all three days as Japanese clients were actively looking for products. Overall, the Japanese construction industry has been busy and that energy could be felt on the show floor. The growth in the Japanese hospitality sector over the past few years has led the show organizers to target commercial construction and architecture as well. The zones were set-up with this in mind and included an all new furniture area. The JH&BS organizers are working hard to have this event truly cover all of the different segments of the construction industry. This is also bringing in more and more visitors from various parts of Asia. The Japan Home and Building Show has become a significant international event, with many Japanese exhibitors now targeting these foreign attendees. As Tokyo Big Sight will be used to host some of the 2020 Summer Olympics events, some of the halls will no longer be available for trade shows as of next spring. This has created a great deal of uncertainty about what the shows would do. Some will be temporarily moving to other facilities around Tokyo or even Osaka while others will simply take a break for two years. We were worried about the JH&BS so it was a great relief to hear that the organizer has secured Big Sight’s West Halls for next year’s show during its usual mid-November time frame. This will probably limit the total floorspace available, but at least we know that we can plan on offering this great opportunity to members next year as well.